The €49 million loan from the African Development Bank and the Climate Investment Fund will complete the construction of the geothermal power plant in Menegai, Kenya. Geothermal energy is a clean energy source that many East African countries have been exploring for several years. This is the case of Djibouti, which recently launched the project to build a geothermal power plant in the Lake Assaleh region. In Kenya, the Menegai geothermal project has just received a major boost from two development partners. The loan, totalling $49 million, will be disbursed in two phases. The African Development Bank (AfDB) Group will lend US$ 29.5 million, to be followed by a US$ 20 million denominational loan from the Climate Investment Fund (CIF), part of the Clean Technology Fund (CTF), established in 2008. 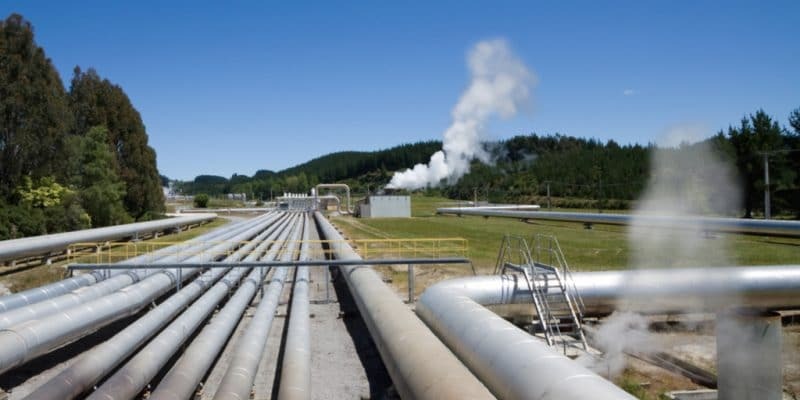 It is therefore a partnership between the AfDB and the CIF which will enable Quantum Power East Africa GT (the dealer) to accelerate the Menegai geothermal project, located in Nakuru County in western Kenya. “The partnership between the AfDB and the CIF will support Kenya’s efforts to intensify geothermal energy development and stimulate economic growth. The deployment of CTF funds directly contributes to unleashing private sector momentum for sustainable market transformation,” said Amadou Hott, AfDB Vice President, Energy, Climate and Green Growth, after signing the loan agreement. He recalled that “Kenya has a geothermal potential of nearly 7,000 MW, of which only about 200 MW are currently being developed”. The future geothermal power plant, to be built by Quantum Power East Africa GT, will have a generating capacity of 35 MW and is the third plant in the Menegai field. This will bring the total production of this field to 105 MW. Quantum Power East Africa GT benefits from a geothermal concession financing programme, established by the Kenyan government, to increase investment flows from donors, such as the AfDB or the World Bank, to support renewable energy infrastructure development projects.